Enjoy this Prime Puget Sound estate with 100 feet of no bank Waterfront. Take in the spacious living in this custom built, redesigned in 1991 & updated cozy north west Contemporary home with breathtaking vistas of the beautiful Dyes Inlet. The home includes an attached 1-bdrm ADU with large kitchen, living room with gas fireplace, full bath, and large covered patio area. Vacation at your own waterfront estate with huge patio built to the waters edge. Perfect for entertaining. Enjoy water-sports, seafood & the landscaped 1.38 acres that include a pond. The home also includes an attached extra large 3 car garage with work space. This stunning estate is a must see! Located just minutes to the Seattle Ferries and all activities! The home is wired for security system but not fully installed.This listing is at $1,150,000 w/o the neighboring lot for a total of 100' waterfront and .620 acres. 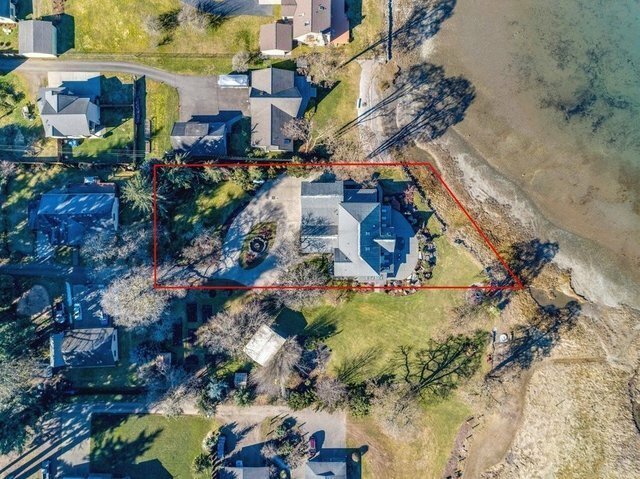 A second buying option is at $1,488,800 that includes the 2 Tax parcels for a total of 200' waterfront and 1.380 acres with the neighboring buildable lot.